As you usher in the new financial year and gather all your fresh resources and things-to-do, there’s one thing that you definitely shouldn’t leave out in the midst of the new year’s hullabaloo — social media. If you’ve recently been considering it, or are already attempting social media for your business, it’s important to write up a solid social strategy before you take part in any type of social media for your business. Gaining a complete understanding of your social media intentions, as well as the who, what, when, where, why, and how of your business’s social media is essential. So, I’ve developed a brief social media strategy below, in order to get you thinking about how to develop your own business’s strategy. The first step to take in order to create a strong social strategy is to ask questions — to yourself. Develop an understanding of who you are, what your business does, and what you aim to achieve. Further develop these ideas into two brief, distinct items, ‘who’ and ‘what’, or rather target audience and content type, respectively. Secondly, before any good action is taken, good research must be done — as you are doing right now. Scout the channels that you’re thinking of utilising and do some background research of the social media sites, in order to build a scope of their usefulness. Within 5 minutes or so, I’ve already found out that Facebook currently has around 1.4 billion monthly active users, Twitter has 316 million active users, Google+ has just over 1.2 billion active users, and LinkedIn has around 364 million active users. Crazy, huh? Knowing the bigger picture of social media sites allows you to be more specific in the smaller picture — the segmentation. Market segmentation is the process of separating a broad market into subsets, or segments, that have common needs or interests, in order to design and implement strategies to target them. This step requires you to assess the relevancy of social media sitesand further develop the target audiences that you wish to market to. Firstly, based on your background research in the previous step, determine which social media sites are the most relevant for your business and consumers. For example, if you’re a cafe and you want to post photos and videos depicting a warm, fun, and inviting environment, LinkedIn is not the most relevant site to use as it is primarily used as a business networking site. The better choice would be Facebook as it is subject to more casual content, and thrives off photos and videos. Next, you’re going to decide which audiences you want to target, based on both the type of users that each social media site generally gathers, and which type of audiences you wish to attract (e.g. male/female? 18-65 years old?). 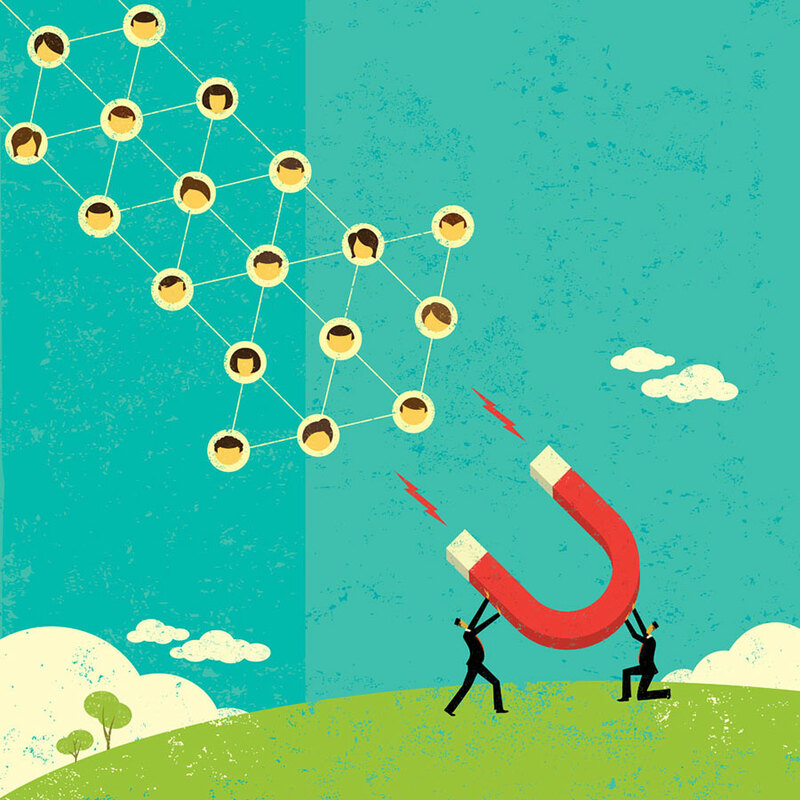 Determining which sites to use to target who you want to attract is definitely an important factor of the strategy. Now that you’re getting the social train going, there needs to be a desire for an end result. For each social media site that you’ve chosen, create aims that outline what you intend to use the site for, and then create goals that clarify what you would like to achieve out of the strategy by a certain point in time. For each social channel, determine your intention for each site, by creating an aim such as: for Facebook, “to show users about the business’s personality and fun side”. Next, clarify this purpose by creating a physical finish-line, by creating a goal such as “qualify 200 leads by the end of the month”. A great method of goal-setting that could help you gain a better understanding of your intentions and goals is the SMART approach: be Specific with your goals, make sure they’re Measurable, as well as Achievable, Relevant to your intentions, and the set Time is reasonable. Frequency — How frequent will you post on each site? Time — What time of day are they to be posted? As a good practice exercise for a better understanding, you may wish to write up draft examples of the types of content you want to post, to get a good feel of what style of content is involved for each site. After designing a content plan, you will need to budget with the amount of resources that you wish to contribute. Allocate resources to each of the social channels, for business actions such as advertising posts, general advertising, or others. Determine the amount of money you want to allocate each channel based on their importance and usefulness to your business and consumers, and also based on the research you previously completed. Work at your social media channels using what I’ve found to be the three important P’s of content creation: Passion, Patience, and Persistence. After you’ve followed your strategy for about week or so, look over the results of your content and review the performance of your posts and evaluate their effectiveness — what you did good or bad, and how your audiences reacted. Most of the social media sites already provide a way to review the popularity of posts. Doing this gives you a greater understanding of what content works where, when, with who, and allows you to change your strategy accordingly.